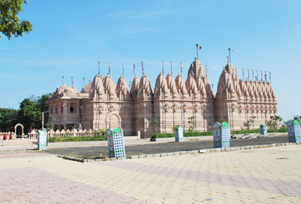 Barely few kilometres away from Bhuj, Bhadreshwar is an important Jain pilgrimage centre in Gujarat. Historians say that the Bhadreshwar was founded in 516 BC. 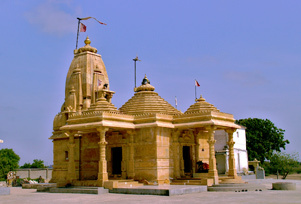 Bhadreshwar is famous for its known Jain temples, mosques, and other historical sites. Inside the Bhadreshwar village, there are Jain temples, which are notable for holding the original Parshavanath idol from 500 BC. The temple is believed to be built 2500 years ago about 45 years after the death of Lord Mahavir. In addition to the Jain temple, there are two 12th century mosques as well, which are well known for its Islamic structure. Also, these were the first mosques to incorporate Indian architectural elements into Islamic constructions. 1) Vasai Jain Temple: Believed to be the oldest Jain Temple in India, the magnificent Vasai Jain Temple is a beautifully sculpted with intricate and striking carvings. The temple is renovated and rehabilitated from time to time as it was damaged many times due to the earthquake. Inside the temples, there are three marble idols. In the center, there is a beautiful statue of Lord Ajitnath, second Tirthankara of the present age, to the right is the idol of Parshavanath with the snake hood and on the left is the figure of Lord Santinath, 16th Tirthankar. Non- Jain people aren't allowed to enter the temple. 2) Chokhanda Mahadev Temple: Said to be the built by Pandavas 5000 years ago, Chokhanda Mahadev Temple is locally known as 'Pandavas Kund.' Some parts of the temple were damaged during 2001 earthquake and much restoration has been already done. 3) Duda Masjid and Vaav: Dating back to 12th century, Duda Masjid is one of the oldest mosques of Gujarat. Nearby the Duda Masjid is a vaav. 4) Lal Shahbaz Dargah: Locally known as Shrine of Ibrahim, Lal Shahbaz Dargah was constructed around 1160. Inside the dargah, there is a pyramid shaped dome supported on eight pillars. How to Visit: One can take state tourism bus from Bhuj to reach Bhadreshwar. The town is 30 minutes away from Bhuj.